Affordable senior health insurance starts with Medicare. From there you have some choices: Medigap or Medicare Advantage(MA). MA tends to be more affordable but check out the articles below to see if it's right for you. Blue Shield currently offers Plan A, C, D, F, High F, K or N.
Applying for a Blue Shield Medigap plan is easy. It is now available 100% online with no printing or faxing required. Just click here to apply for Blue Shield Medigap. Before we delve into Blue Shield Medigap, we want to first clear up some confusion. Blue Shield offers both Medicare Advantage plans and Medigap plans. What’s the difference? Medicare Advantage plans offer equivalent benefits as traditional Medicare Part A (hospital coverage) and Medicare Part B (doctor coverage). They can offer additional benefits such as prescription drug coverage or dental. Medicare Advantage plans are low cost but they have a limited HMO doctor network and offer very little coverage beyond the minimum requirements. Blue Shield Medigap plans offer additional benefits not covered under traditional Medicare. You will want to think of Medigap (which sometimes is referred to as Medicare Supplemental plans) as insurance you buy to cover all things that traditional Medicare does not cover. It is supposed to fill in the Medicare GAPS! What are Medicare’s Expense “Gaps”? Before selecting a Medigap plan, learn what traditional Medicare does not cover. 2) $329 to $658 per day for days 61-150 of a hospital stay. 8) Medical expenses incurred while traveling abroad. Now that you can see the medical expense “gaps” not covered by Medicare, you can see why someone would want to purchase a Medigap plan. The most comprehensive of these plans is Blue Shield Medigap Plan F. While we refer to is as Blue Shield Medigap plan F, remember that it is the exact same plan as any other insurance company who offers the federally regulated plan F. That means that Blue Shield’s plan F offers the exact same benefits as United Health’s plan F.
Medigap Plan F does a very good job of filling in most of the potential medical expenses that are not covered by Traditional Medicare. It is the most comprehensive and most popular of all the Medicare Supplemental plans we sell. It is also usually one of the most expensive. The cost of Plan F depends on your age and where you live. To get a Blue Shield Medigap quick quote here. Blue Shield High Deductible Plan F is the exact same plan as F but carries with it a deductible that you must first pay before all the benefits kick in. To learn more about high deductible or to get quotes and details on all other Blue Shield Medigap plans available, visit our new Medigap site called Senior65.com..
Medigap plans only cover medical expenses at the doctor and hospital and do not cover prescription drugs or dental coverage. Blue Shield of California will offer you senior dental right in the application. You will want to purchase a Rx plan as part of Medicare Part D prescription plan. 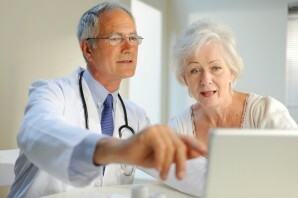 To get started with your RX coverage visit Senior65.com section on Medicare Part D prescriptions. Enrolled in another Medigap plan, but want Blue Shield? Not a problem! Blue Shield has extended their Special Enrollment for those who currently have a Medigap plan and want to switch! You don’t have to wait until your birthday, you can do it now. Medigap vs Medicare Advantage: Which is the Best Medicare Supplement? The first thing that most seniors considering health care ask us is, “Which is best: Medigap vs Medicare Advantage.” Before we can answer the question, however, we want to discuss how each product works because they are drastically different. What is Medigap and What is Medicare Advantage? Medigap refers to a group of supplemental insurance plans that work in conjunction with your regular Medicare benefits. They cover many expenses not covered under Original Medicare such as additional hospital days or international travel. Also Medigap plans often cover expensive deductibles or copayments that are charged to Medicare patients without Medigap. These cost can add up to hundreds of thousands of dollars should you have a major illness or accident. Medigap does not cover prescription benefits so most people purchase additional Rx coverage through Medicare Part D.
Now that you know a little more about Medigap, learn does Medigap cover dental? In contrast, Medicare Advantage plans replaces Original Medicare. Medicare Advantage plans are run by private companies and must provide the same coverage as Medicare A and B, but vary beyond this minimum set of benefits. Medicare Advantage can still leave open the gaps that Original Medicare leaves in case of major medical issue. Some Medicare Advantage plans offer dental, vision or prescription coverage. Most Medicare Advantage plans are HMOs, therefore have a smaller network of doctors than those that accept Original Medicare. Medicare Advantage plans are usually cheaper than Medigap plans. So, if you’re willing to deal with the restricted network (i.e., you don’t plan on traveling the country) and your funds are limited, the Medicare Advantage plan may be the best choice for you. Pay Now Medigap plans are usually more expensive each month but will save you a significant amount money if you need extensive medical services. If you budget can afford a Medigap plan, they will usually be the best way at protect your wealth. Pay Later Medicare Advantage will almost always be less expensive in the short run because their monthly premiums are usually lower than Medigap. Out-of-pocket costs for many services such as hospital stays, however, are often much more expensive with Advantage plans than they are with Medigap plans. Seniors considering a Medicare Advantage plan should be aware that their annual out of pocket maximum could be as high as $6700. You should also contact your physicians to ensure you can keep seeing them if you go with Medicare Advantage. If you are still unsure you might want to check out this simple wizard to help you decide if Medigap or Medicare Advantage is right for you. If you need help along the way contact our licensed agents at 800-930-7956. What does Medigap cost? Figuring this out requires a little education, and some old-fashioned research. Below you will find a breakdown of how all Medigap plans are priced, and how to find the best price where you live. The first thing to understand about Medigap plans, also called Medicare supplemental insurance plans, is that the benefits for every plan are standardized. This means that the benefits for Medigap Plan A offered by one insurance company will be the same as the benefits for Plan A offered by any other insurance company. Tip: All Medigap plans are named by letter. Currently, there are 10 Medigap Plans: A through D, F, G, and K through N. This chart summarizes the benefits of all Medigap plans. Once you know which plan has the right benefits for your needs, you simply need to find the insurance company that offers the best price. But there are a few things to keep in mind about how the prices for Medigap plans are set. Community-Rated (also called No-Age-Rated): Everyone in the community with the same Medigap plan pays the same monthly premium, regardless of age. Issue-Age-Rated: The monthly premium is based on your age when you buy the plan. Premiums are more for older purchasers. Attained-Age-Rated: The initial premium is based on your age when you purchase the plan, AND, the premium goes up as you age. Medical Underwriting: This refers to the practice of insurance companies using your medical history to determine the cost of your plan, or in some cases, deny offering you coverage. More health problems = higher costs. However, everyone is offered an open enrollment period, during which insurance companies cannot use medical underwriting. For most people open enrollment lasts for six months after the day they turn 65. High-Deductible plans: Insurance companies in your area may offer high deductible options for Plans F and J. This means your monthly premiums will be lower, but you’ll have to pay more for medical services before your Medigap coverage kicks-in. Medicare Select: This is a type of Medigap plan with lower costs, but that requires policy-holders to use a pre-defined network of hospitals, and sometimes doctors. Medicare Select plans are not available in all states. Now that you know the factors affecting Medigap costs, the next step is to see what plans insurance companies are offering in your area. Get a quote to compare Medigap plans now. If you want to run a Medicare supplement comparison right now, visit our quote engine, enter your zip code (all other info is optional) and click on the “Next Step” button. You’ll get a list of Medicare supplemental plans available in your area, along with their prices. If you want to educate yourself a bit first, read on. People often feel overwhelmed at the prospect of selecting a health insurance plan to supplement their Medicare for one reason: it’s confusing territory. But with a little background information and some guidance, you’ll be able to run a Medicare supplement comparison and make an informed decision about which is the right Medicare supplemental plan for you. Step 1: Know the Definition of Medigap Insurance. Medicare supplemental insurance is commonly referred to as Medigap because it was designed to fill in the gaps left behind by Medicare. Medigap is different from Medicare Advantage Plans, which are a way to receive Medicare plus additional benefits. Medigap plans were designed to help you pay for things that Medicare does not, such as Medicare coinsurance and copayments or skilled nursing care. Medigap plans are sold by private insurance companies, but standardized by the Federal government and they are named for the letters of the alphabet. The PDF table below shows a summary of the plans for sale starting on June 1st, 2010. As you saw in the PDF table above, Medigap plans cover a specific set of benefits. The way to choose the right for you is to know which benefits you value and which you can do without. Print the table above and circle those benefits you value most. Then check to see which lettered Medigap plans offer the benefits you want. Cross off the plans that don’t offer the things you care about most. Step 3: Understand Medigap Pricing. Medigap plans are generally priced in one of three ways as outlined below. Attained Age: these plans are priced based on the subscriber’s age at any give time. That means the premiums go up over time as you age and they can quickly get expensive. Issue Age: these plans are priced based on the subscriber’s age at the time they first enroll in the policy. Premiums do not go up as you age, but only moderately in the event of health care inflation. Community Rated: these plans are priced based on where the subscriber lives and like the issue age Medigap plans, they do not increase over time because the subscriber has aged. If possible, we recommend that you select an issue-age or community rated plan. Though these may appear to be more expensive in the short run, they tend to be much less expensive in the long run because the premiums are locked in and do not continue to steadily rise as you age. Click here if you’re ready to sign up Medigap Overview Page. Step 4: Get a Quote. Now that you’re armed with some information (have that marked-up PDF table at your side! ), you’re ready to get a quote. Just visit our quote engine, enter your zip code (all other info is optional) and click on the “Next Step” button. You’ll get a list of Medicare supplemental plans available in your area, along with their prices. Any plan that is not available for sale in your area is automatically excluded from your results. If at any time you would prefer to speak to a licensed Medicoverage agent, just visit our contact page and give us a call. We’re here to help. Medicare supplemental insurance plans are privately sold insurance policies that have been standardized by the Federal government and designed to fill in the gaps left by standard Medicare coverage. These policies are commonly called Medigap plans. There are currently 12 Medigap plans offered for sale and these are named for the letters of the alphabet A through L.
As you look through the list, it is important to understand that, even though many different companies may sell a Medigap plan D, all Medigap plan Ds offer the exact same set of benefits. This is true for all A plans, B plans and so on through plan L. Note that this does not mean that they are all sold at the same price, however! Additionally, all Medigap plans must cover the cost of the first three pints of blood under its basic benefits. While all medicare supplemental plans cover the above basic benefits, all but plan A offer additional benefits as outlined below. Medigap plan A only covers those basic benefits listed above. o 80% of the cost of emergency care outside the U.S. Annual out of pocket limit of $4,440 (2008). Annual out of pocket limit of $2,220 (2008). *Plans F and J also have a “high deductible option.” If you choose the “high deductible option” on Medigap Plans F and J, you will first have to pay a $1,900 deductible (2008) before the plan pays anything. This amount can go up every year. High deductible policies do have lower premiums, but if you get sick, your costs will be higher. **The basic benefits for plans K and L include similar services as plans A-J, but the cost-sharing for the basic benefits is at different levels. The annual out-of-pocket limit increases each year for inflation. In addition to the A-L standard Medigap policies, Medicare SELECT is a type of Medigap policy that can cost less than standard Medigap plans. However, you can only go to certain doctors and hospitals for your care. Check with your state insurance department to find out if Medicare SELECT policies are available in your state. Click here if you want to learn more or to sign up for Medigap Policies. The landscape of Medicare supplemental plans can seem quite confusing at first glance, but if you know a few basic facts up front, you’ll be better prepared to make sense of your Medicare supplement quotes when you get them. Fact 1: Medicare supplemental plans are private health insurance plans, often referred to as “Medigap” plans that are designed to fill in the gaps left by Medicare. Medigap policies can help pay your share (including coinsurance, copayments, or deductibles) of the costs of Medicare-covered services. Some Medigap policies also cover certain benefits that original Medicare doesn’t cover. Click here for more information on Medigap Policies. Fact 2: There are currently 12 different Medigap plans offered and each plan is named for the letters of the alphabet from A through L. HOWEVER, as of June 1, 2010, plans named E, H, I and J will no longer be sold (but if you already have one of those plans, you can keep it). Also after June 1, two new plans named M and N will be offered for sale. For a brief summary of the Medigap plans, see our available plans page. Fact 3: These lettered plans are standardized by the Federal government, meaning that, regardless of which insurance company sells them, all the A plans are the same, all the B plans are the same, and so on through the alphabet. Fact 4: Just because the C plan offered by one company is exactly the same as the C plan offered by another, does not mean that the price of all the C plans are the same. So when you’re shopping for a plan, be aware of what you’re getting versus the price you’re paying. But before you blindly choose the lowest-cost plan, make sure you look at the company’s customer reviews before you choose. A Medigap plan is not a bargain if you can’t get the services you need when you need them. Now that you know some basic facts, you’re ready to get a Medicare supplement quote. How Do I Get a Medicare Supplement Quote? Simply visit our Senior Medicare Supplemental Insurance quote engine and enter your zip code in the box at the top. There are fields for your contact information as well, but these are optional. Filling them in will be helpful if you’d like personalized help from an agent, but you can get a set of Medicare supplement quotes with your zip code alone. Once you get your quotes and are ready to make a decision, be sure to factor in what’s important to you. Are prescription drugs more important than emergency care? What about help with paying your Medicare coinsurance? Are you facing the need for hospice or other long-term care? Make sure the policy you pick offers the coverage that’s most relevant to your needs. Conversely, you might choose to save money by selecting a policy that does not cover those things that you don’t anticipate needing in the future. And if you need assistance, contact a licensed Medicoverage agent. We’re here to help. Recent news that the Federal government may consider cuts to Medicare that could adversely affect senior citizens can be quite worrisome, which may prompt many to explore senior medical insurance plans. As it stands, Medicare can be confusing, but it helps to understand Medicare before you shop for supplemental plans. So let’s start by breaking Medicare down into it’s four parts, which are named, quite simply, Parts, A, B, C and D.
Covers hospital treatment as an inpatient, hospice care and nursing home care as well as some care in the person’s own home. There is no monthly premium for this aspect of Medicare, as it is covered by taxes. Outpatient hospital care and general practitioner costs, including any equipment, as well as occupational and physical therapy. Similar to a regular, individual health insurance plan, you pay a monthly premium and an annual fee for these services. This is where you can find what are called the “Medicare Advantage Plans,” which are Federally approved senior medical insurance plans that combine the benefits of parts A and B above, plus additional benefits, such as covering prescription drugs. This is the newer Medicare prescription drug coverage. Medicare does not provide comprehensive health coverage. Senior medical insurance plans designed to fill in the gaps left by Medicare are often called “Medigap” plans. The best place to learn about Medigap is Senior65.com. Medigap plans are sold by the insurance companies that many of us have heard of, such as Blue Cross, Blue Shield and United Health. But what’s different about these plans is that they have been approved and standardized by the Federal government. There are 12 different plans to choose from and they are named with the letters “A” through “L.” While you will find more than one “A” plan offered for sale by the various insurance companies, they’re all the same standardized plan. So when you compare “A” plans between two companies, be aware that they are the exact same coverage but not necessarily the same price. This means that each individual insurance company that offers a certain Medigap A plan must offer the exact same benefits as another company offering a competing Medigap A plan. The same is true for all of the “B” plans, the “C” plans, and so on. But when you shop for senior medical insurance, remember that price may not be your only factor in deciding which company you want to provide your Medigap plan. Quality matters too, so pay attention to those online customer reviews as well. Also, learn if Medigap covers dental. To get quotes on Medigap plans in as little as 10 seconds, visit our Senior Medigap Quote page. In recent months there has been quite a bit of discussion around Medicare and health insurance. Medicare supplemental plans, which are often called “Medigap” plans, are meant to fill the gaps left by Medicare. While post-retirement life is supposed to be at least somewhat of a carefree time, this is is not the case for many. As people get older, their need for medical and hospital treatment increases and can eat away at people’s savings. Medigap plans are health insurance plans that the United States Government introduced to help alleviate the burden of health costs. One of the problems with Medicare was that it did not give older people full health coverage, and an increasing number of them had trouble paying for all of the treatments and services they needed. To help older people with the cost of health insurance, Medicare supplemental insurance plans have been put forward as a means of filling these gaps. The companies that sell this type of insurance provide specific health plans that have been screened and approved by the Government. However, not everyone will benefit from these plans, as the recipient must already be enrolled in Medicare parts A and B in order to be a candidate. While there were four parts to the Medicare plans, there are actually twelve different Medigap plans, which are designed to meet different health care needs. Each offers a slightly different set of benefits to meet the varying needs of different individuals. To browse the plans and look for the one that suits you, read our Available Medigap Plans page. The companies selling the Medigap plans usually have an insurer acting on their behalf to supply senior citizens with the right, and most affordable plan for them. The guidelines for this health insurance (medicare supplemental plans) are set by the government; however, you should be aware that the cost of these policies will vary because they are set by the individual companies. By definition, Medigap plans do not cover all health care requirements, so as you shop for a plan, make sure you pay attention both to what is offered and to what is left off the list. For the most up to date information go to the Senior65 Medigap Page. If after browsing through our Senior Health Insurance pages you still have questions, you can contact a licensed Medicoverage agent at any time. We would be happy to help you find the right coverage for you. As you grow older, you’ve got more health risks and ailments to contend with, which raises the importance of purchasing a senior health insurance program. However, many seniors often hesitate, presuming that a health insurance policy at their age may simply not be affordable. But it is possible to buy a senior health insurance program at a competitive price, and it may very well be worthwhile. Today, there is an increasing demand for health insurance coverage in addition to Medicare, and many reputable insurance companies are offering health insurance policies for seniors at affordable rates. If you are not clear on exactly what Medicare has to offer, you should be aware that Medicare will cover some, but not all of your medical expenditures. For example, Medicare Part A is your basic hospital insurance. It will cover your costs while you are receiving care in the hospital and will also cover skilled nursing services, hospice care and some home health care. Medicare Part B functions like basic medical insurance. It covers doctor’s fees, any medical equipment needed, outpatient hospital care, occupational and physical therapy and other health related expenditures. You will have to pay both an annual deductible and monthly premium for Medicare Part B.
Medicare Part C offers what are called “Medicare Advantage Plans” which allow you to buy plans combining parts A and B, plus other additional benefits like prescription drug coverage. Medicare Part D is the most recent addition to the Medicare family and it is the stand-alone prescription drug coverage. So Why do You Need a Senior Health Insurance Program? Medicare does cover many of the more serious health conditions, however other routine expenses, such as the cost of annual check ups are not covered by the program. These can really add up, especially if you have any chronic conditions. So you may want to consider getting an additional senior health insurance program that will offer coverage over the gaps left by Medicare. These policies that cover medical expenditures not included in Medicare are known as Medigap insurance policies. In order to enroll in any Medigap policy, you will first have to be covered by Medicare Part A and Part B. Once you’re enrolled in Medicare A and B, it’s time to research the Medigap policies. The easiest thing to do is visit a health insurance brokerage website like ours (Medicoverage) to compare plans and prices. You can get a bunch of quotes in as little as 10 seconds by simply entering your zip code at the top of the page. You can also browse through our summary of the generic Medigap plan definitions on our Available Medigap Plans page. Now that you’ve learned how to get a Medigap policy, learn if Medigap covers dental. A recent insurance industry survey indicates the odds of an individual experiencing a disability or illness requiring extended custodial or medical support are 120 times greater than losing a house due to fire or some other catastrophe. At the same time, while advances in medicine and technology are extending people’s lives, the cost of long-term medical care is rising at an alarming rate. Put all this information together and it seems clear enough that long-term care (LTC) insurance seems like a very good idea. What is it: LTC is the kind of care a person, young or old, needs when assistance is required to perform normal life activities such as bathing, dressing, eating or just moving around. The need for such care can result from a variety of circumstances, ranging from old age to sickness, accidental injury or any disability that prevents an individual from performing these tasks. Sometimes this care is provided in a nursing home, but it may surprise you to know that approximately 85% of LTC is provided at home or in assisted-living facilities. Medicare may provide short-term coverage for stays in skilled nursing homes, but it is not intended to cover custodial or assisted-living care, nor does it cover extended home health care. As a result, the United States Government Medicare guidebook suggests that Americans should not count on Medicare as their primary source of LTC funding. Fortunately, the tax law provides benefits to encourage individuals to purchase LTC insurance. Tax deductions: If you purchase a qualified LTC policy, you may be able to treat the premiums as medical expenses, assuming you itemize your deductions. You may be able to claim a deduction to the extent your total medical expenses (including LTC premiums) exceed 7.5% of your adjusted gross income. There is a dollar limit, however, on the amount of the premium that can be treated as a medical expense. Self-employed taxpayers, meanwhile, can deduct 100% of their health insurance premiums, whether or not they itemize their deductions. And for this purpose, health insurance includes qualified LTC insurance. However, the deduction for LTC insurance premiums is subject to the dollar limits mentioned above. Caveat: In order for an LTC policy to be a “qualified” plan certain requirements must be met. For example, policy must be guaranteed renewable and the policy generally cannot provide for a cash surrender value or other funds that can be paid, assigned, borrowed or pledged as a loan. And the policy issuer must inform you that the policy is intended to be a qualified policy. For your consideration: As LTC policies covers you for long-term care, Medicare Supplemental, AKA Medigap, fills in the gaps of what Medicare doesn’t cover for extended stays -protecting seniors from healthcare financial burdens. To learn more about Medigap or to apply today go to the Medigap Policy Overview for Seniors Page. Final point: There is legislation pending in Congress that would create additional benefits for purchasers of LTC insurance. Refer back for any late breaking tax developments affecting LTC policies. Please note that this is not tax advice. Please consult a tax professional. Not knowing where and when to find affordable senior health insurance can be frustrating for many people. The fact that insurance information is confusing and full of industry jargon only further serves to aggravate the situation. According to the Kaiser Foundation, lack of affordable senior health insurance is restricting patients’ ability to get the proper care and medical treatment they need. This is a problem that can be addressed, to a large degree, with proper education. Here are some easy to understand facts and information that pertain to affordable senior health insurance plans. This information can help you choose the right coverage for yourself, your parents, or other seniors that you care about. The first step is to see if you qualify for Medicare. Medicare is intended to be used by people who are 65 years of age, or older. There are provisions that also provide Medicare health benefits to specific individuals who are younger than 65. People who suffer renal diseases or have become disabled generally who are not yet 65 can meet the qualifications for Medicare. If you are not sure if you qualify, visit www.senior65.com and start on step 1. After you sign up for Medicare you then want to consider additional options. Although Medicare provides a moderate amount of health benefits to nearly 50 million people in the US, it was never meant to be used as a standalone health package. If this is the only health care benefits that you currently have, you most likely do not have enough coverage to take care of all your medical needs. Even using low cost health clinics that are in your community is not enough help to make up the difference. If you are concerned that Medicare will not meet all your health care needs you will need to select one of the following: A) Medicare Advantage Plan or B) Medigap insurance. With Medicare Advantage, qualified individuals can sign up for plans that often offer more health care benefits and extended coverage options. Medicare Advantage is handled through private insurance companies and provides health care services covered under Medicare Parts A and B and may offer additional services not covered under Medicare. Medicare Advantage plans are usually HMOs but some are PPOs. These plans can even include prescription coverage. Medicare Advantage plans are typically only good within a local coverage area and not all doctors accept these plans. In general Medicare Advantage plans premiums are lower than Medigap plans but copayments for certain health benefits can be much more expensive. While this is often an affordable senior health insurance plan that helps you lower health care costs, it can end up costing more if you have many health insurance needs. Medigap is a popular term used for Medicare supplemental insurance. When you sign up for this type of plan, the policy will help bridge the difference (gaps) between actual health care charges and the amount of money that Medicare pays. Like Medicare Advantage, Medigap is also offered by private health insurance companies but is highly regulated. Each private company must offer the same exact benefits so it makes comparing Medigap plans very easy. Medigap plans are PPO plans and often have national networks of doctors. Medigap insurance is the best way for you cut your out-of-pocket expenses and protect you from the high cost of procedures not completely covered under Medicare. A new site, Senior65.com, was recently created to help seniors figure out and purchase Medigap insurance.